The AL7211CR (1 3/8" - ID ) and the MX7211CR (1 1/2" - ID) Perfect holder for boats in the 16 to 31 ft range. 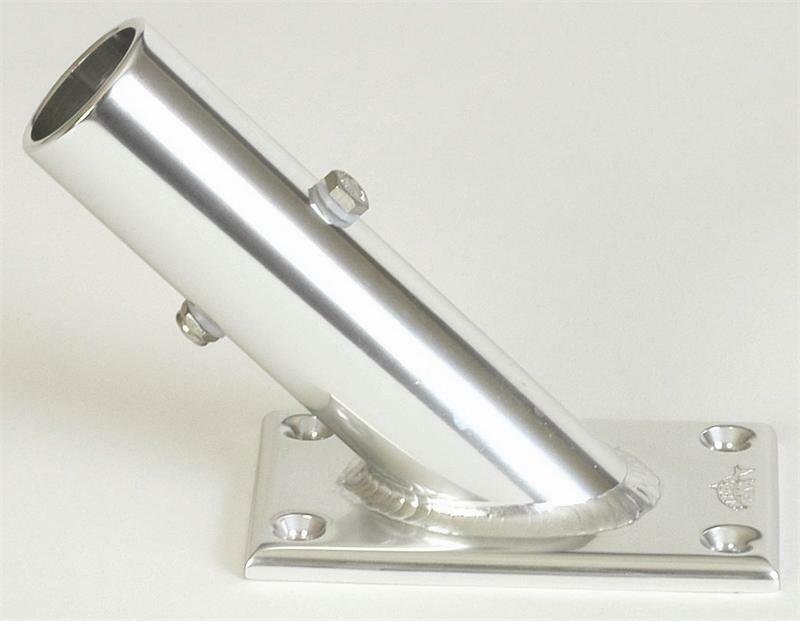 Its economical price and small footprint (3"x 5") make it our most popular center rigger holder. The receiving tube of this marine grade anodized holder is set at a 45 degree angle. This is the perfect angle for boats where the mounting position is low and the cockpit is not extremely deep (e.g. mounting on T-Tops, Hard Tops, or Fly-Bridges).